Because You Rock...I'm Doing A Giveaway! I’m on cloud 9! I’m graduating with my M.A. 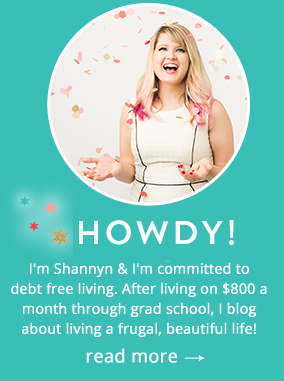 degree in two weeks, I’m speaking at The Financial Blogger Conference in October, my blogging stats have grown & Frugal Beautiful is getting a much needed layout makeover! …Speaking of makeovers, I’m giving away $152 in Mary Kay Products to 3 lucky winners over at BeautifulGiveaways.com…check it out! Conscious Box Review & Happy Belated Earth Day! Thank you so much Michelle! I'm humbled and thrilled…I hope you enter the contest, I'm rootin' for you! Thanks for the awesome giveaway! I have been craving some new makeup so I'll head over right away to enter. Did you used to sell MK or did you buy this from a consultant? Haha, I've got connections! 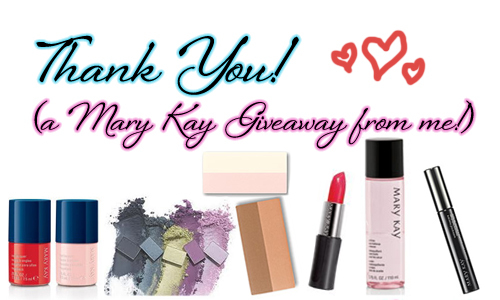 I used to be an assistant to a wonderful Mary Kay director and love the stuff so I like to share the love on here with an occasional giveaway! Good luck to you Elizabeth! So we can enter on your other site? Does a comment I leave here count? You can comment on here for sure, but be sure to check in with the rafflecopter to confirm your entry and so I have contact information/verification in case your'e the winner! Thanks so much for sponsoring this AWESOME giveaway! thank you for the amazing giveaway and congrat for the graduation girl! That post about shopping addiction was close to home! Thanks for your helpful and lovely blog!